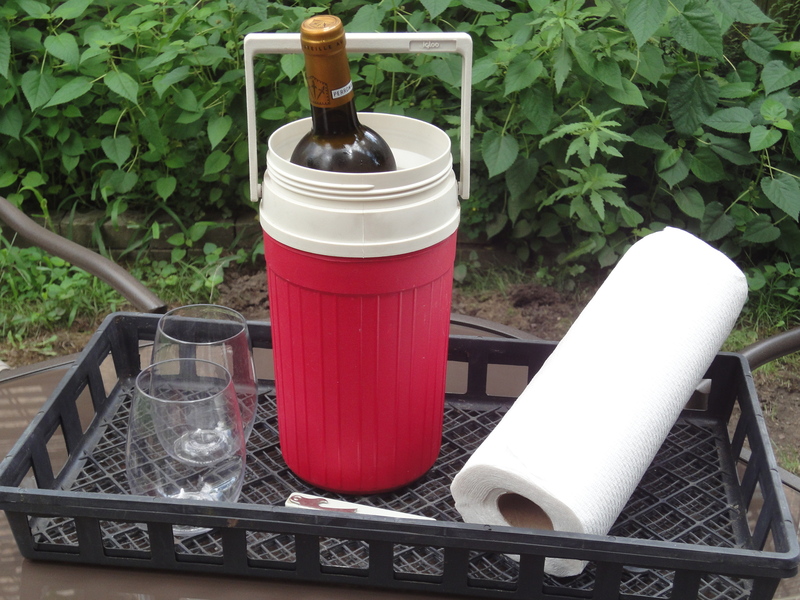 Igloo thermos aka wine chiller – I repurposed an old but indestructible Igloo thermos, with a convenient handle no less, into a single-bottle wine chiller. With a few ice cubes and an inch or two of cold water in the bottom, a bottle of white or rose nestles in perfectly. For multiple bottles, a cleaning bucket partially filled with ice water works nicely. 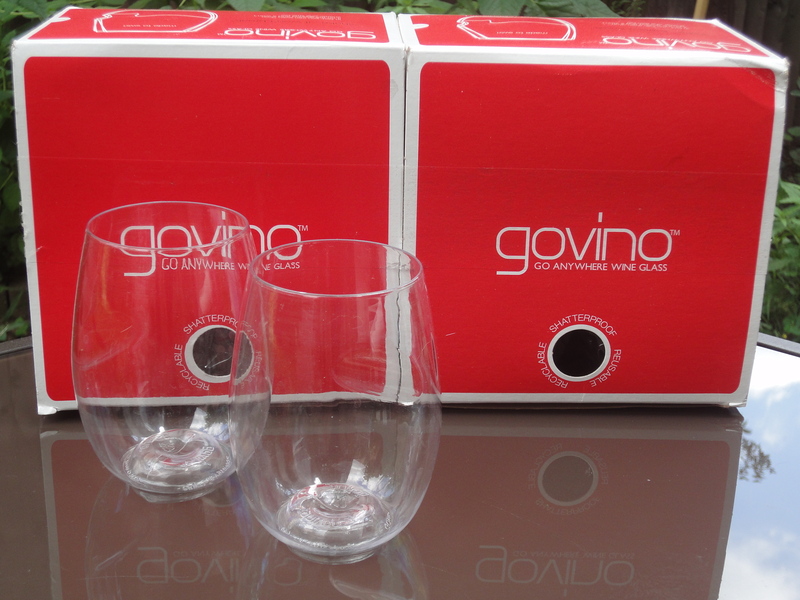 Govino glasses – I take no credit for discovering these glasses; all the kudos go to my neighbor, Beth, who has a wonderful eye for such items. She’s sharing a box of these lovely, flexible-polymer (they won’t crack) stemless glasses with our condo building for the summer and they’ve gotten a major workout. Govino glasses come in several sizes; Govino also makes carafes. Transport/serving trays – I saved the garden-store trays that held my flats of petunias at the start of the season, because I knew I’d find a use for them eventually. 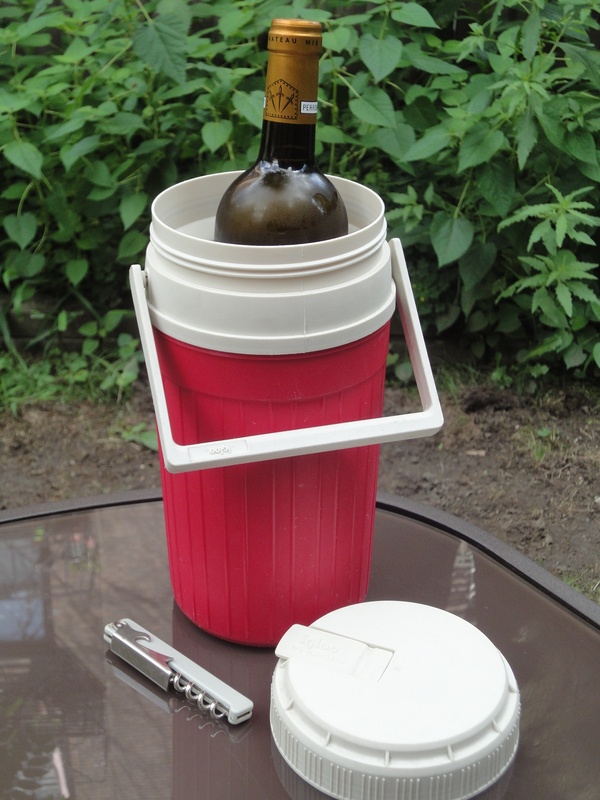 Sure enough, they’ve gotten a second life, transporting dishes and supplies to the backyard for those under-the-stars dinners. Happy outdoor dining as the countdown to Labor Day continues! This entry was posted in Odds & Ends and tagged Govino. Bookmark the permalink.